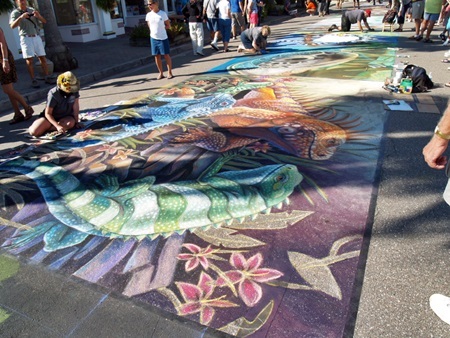 The Sarasota Chalk Festival fills the streets with beautiful colors. 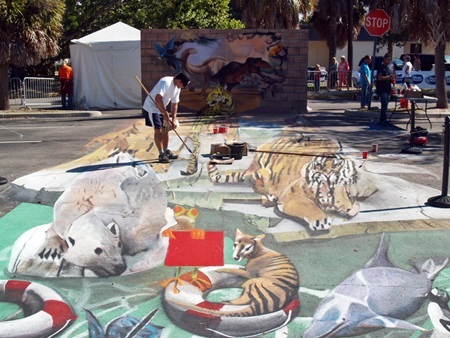 UPDATE ON DATES AND LOCATIONS: The Sarasota Chalk Festival, celebrated its 11th Anniversary in 2018 by postponing its event until April 2019 due to the fear of the impact of the Red Tide bloom offshore in the Gulf of Mexico, which had been somewhat persistent during mid-late 2018. 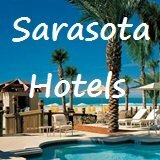 So, on the side of precaution they postponed the event and it will return to the original location in Burns Square in downtown Sarasota, Florida for the April 5 - 7, 2019 dates. 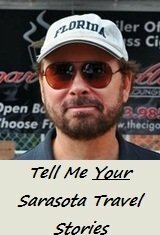 The festival will then resume in Venice, Florida November 15 - 18, 2019 at the Venice Airport festival grounds. 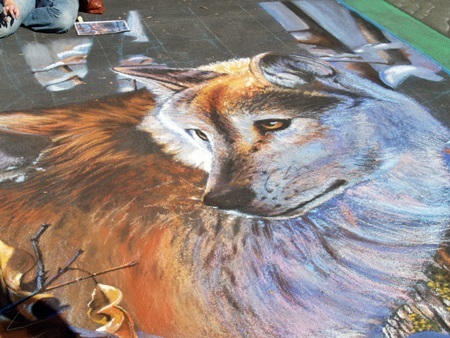 The colorful and creative festival attracts both more and more artists and spectators each year. 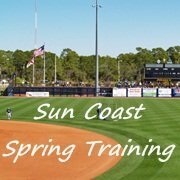 It was begun in 2007, skipped 2008 and returned in 2009. 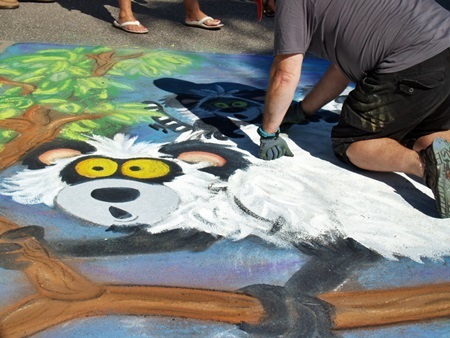 The Chalk Festival's 2019 theme is: 'Garden of Wonders' - "A tribute to the marvels of the natural world and the human imagination!" 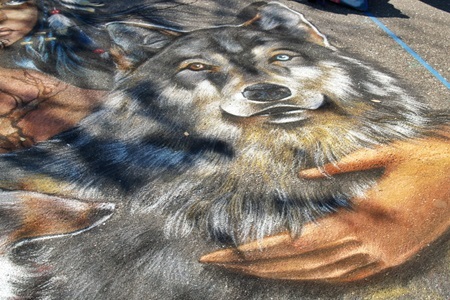 With Chalk Artists from almost every state in the nation and dozens from outside the U.S., the Sarasota Chalk Fest has taken on an international flavor. Get ready to be dazzled and amazed by the sheer amount of talent that shows up for this festival of creativity. 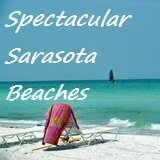 In 2014 the festival moved its venue from Sarasota to several locations in Venice, just south of Sarasota a few minutes by car. 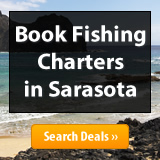 Venice, after all, is in Sarasota County. In 2016 the Festival moved all of its events to the Venice Airport Festival Fairgrounds, 610 Airport Avenue East, Venice, FL. 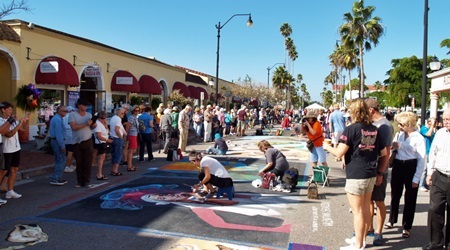 With artists from 28 countries attending in 2014, the fest was spread out over three locations; one being on Miami Avenue in historic downtown Venice, which was a wonderful setting for the street artists’ works, especially with the building facades, modeled after Venice, Italy, in the background. It was quite a picturesque setting on a beautiful sunlit day. As a nice touch, you can actually interact with the artists. And they seem to love the interaction. 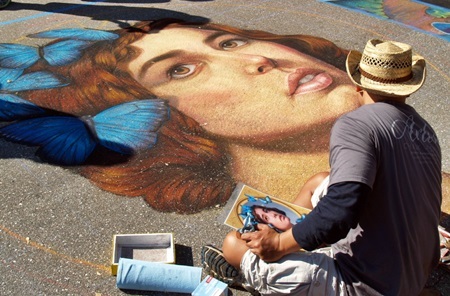 A short walk away was another venue; the Venice Cultural Center, site of a huge paved lot, where scores more artists were dazzling, amusing and amazing spectators with their 3-D Pavement Art. 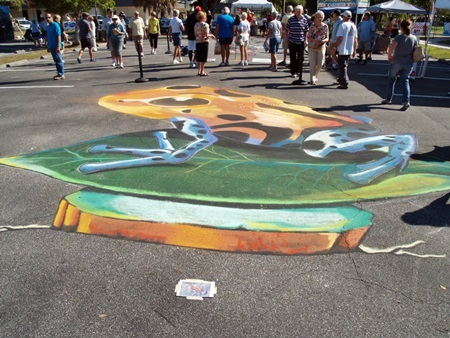 And, located at the base of the 3-D Artwork was a special 3-D viewing lens available for spectators through which to view the 3-D Pavement Artwork. 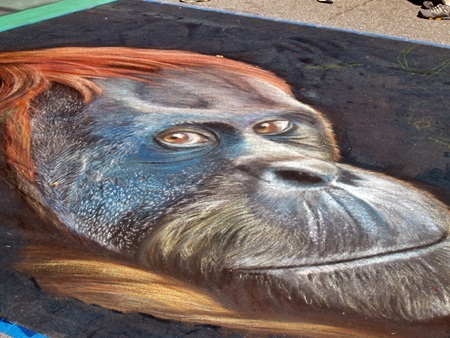 And the third location for the 2014 Festival was the Venice Municipal Airport Festival Grounds where artists were able to turn old runways into their canvas. One nice touch that organizers employed for the 2014 festival was that shuttle buses were used to take spectators between the downtown Venice location and the Airport Festival Grounds location. The theme of the 2016 festival was: "Love & Peace." 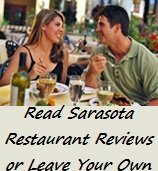 Other recent year’s themes were: 2015: "Eat Drink & Be Merry," 2013: “Legacy of Valor,” honoring American Veterans and in 2012 it was “Circus City USA,” which honored Sarasota’s rich circus heritage. When you have both national and international talent on board for a festival such as this, as a spectator, you will really see some amazing work. I can’t draw a straight line, so it is astounding to me how many talented artists there were who attended this festival. And like the artists, spectators are young, middle age and seniors. 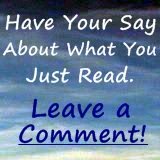 Everyone is welcome whether an artist or an on-looker. In 2016 the Festival moved all of its events to the Venice Airport Festival Fairgrounds, 610 Airport Avenue East , Venice, FL. 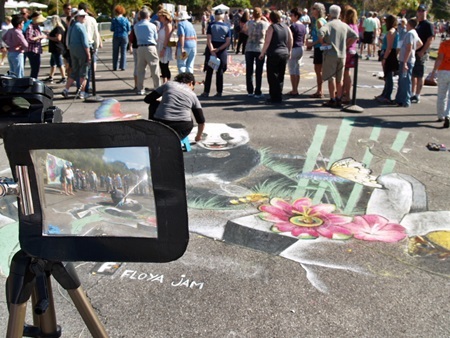 The Sarasota Chalk Festival traditionally runs 4 days with the final day being the "Viewing Day of Completed Artwork," this after the previous evening’s Closing Awards Party. Click here for tickets and even more on this annual creative fest! Festival Hours: 8 a.m. - 5 p.m.